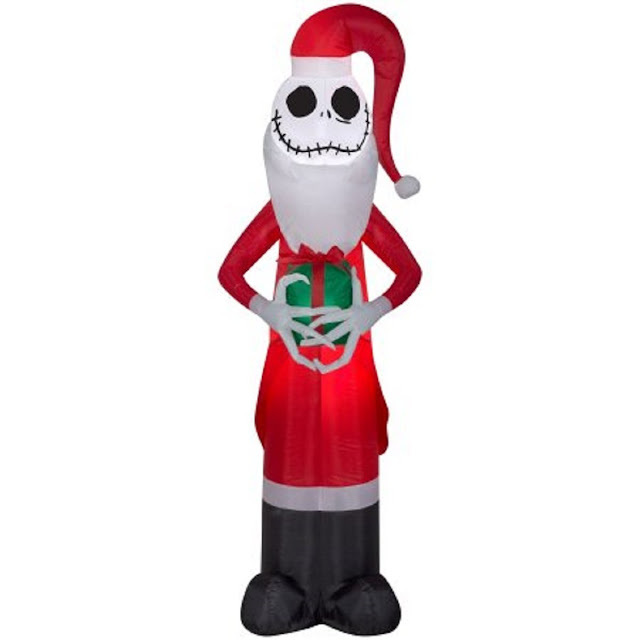 Wouldn't you love to have this "Santa Jack" Skellington airblown inflatable decorating your yard this holiday season? He stands nearly six feet tall. He just looks so darn cheerful! I wonder if I could find a way to hide a Bluetooth speaker inside him and have him playing the Nightmare Before Christmas soundtrack?